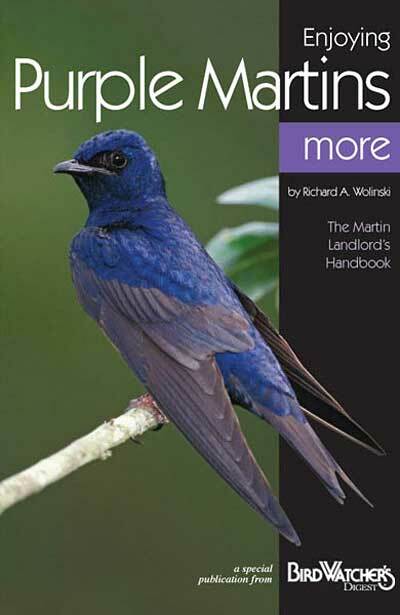 Enjoying Purple Martins More is a 32-page booklet that every purple martin enthusiast, or landlord, should have. This handbook, written by Richard A. Wolinski, features color pictures and short, organized chapters. Some of the topics discussed in this booklet are purple martin basics, attracting martins, managing colonies once you've attracted the birds, information on dealing with predators and competitors, and troubleshooting tips. Whether you're skilled as a martin landlord or a novice, this handy reference is a valuable resource.